So at the time of this writing, I'm in Isaiah listening through the Scriptures. As always I am blown away at the sheer quantity of statements concerning Jesus Christ in the book. I'm going to try to capture some of my thoughts here but I'm bent on keeping it brief today. Verse 2 is an excellent passage on the incarnation of Jesus Christ. It is both a soteriological bulwark and a more simple concept: God "becoming." Because of Orthodox Christianity's tendency to affirm a God who "does not change" I will tread softly here. It is simply a stunning concept that God Himself "has become" salvation. This is still a statement regarding the incarnation: the Son was once not incarnate and then He was. God's being from the foundation of the world anticipated becoming united with man. 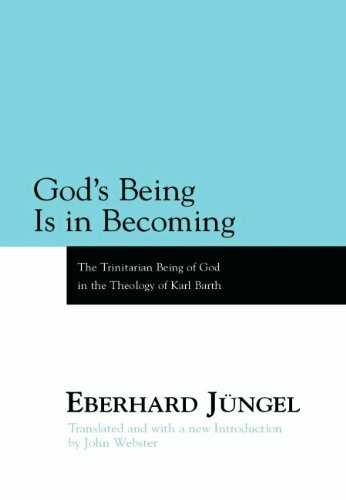 I admit that my thinking have been greatly influenced by Karl Barth and Eberhard Jüngel on this issue: God's Being Is in Becoming is no kids book be warned. Drawing on this (no pun intended but certainly committed) is the further indications of the incarnation contained in verse 3. The drawing of water and the spring of salvation are unanimous. The book of John is replete with water imagery and dominates much of theological foreground of the book. Part of this imagery is Jesus' encounter with the woman at the well and the obvious reflection back on this passage.